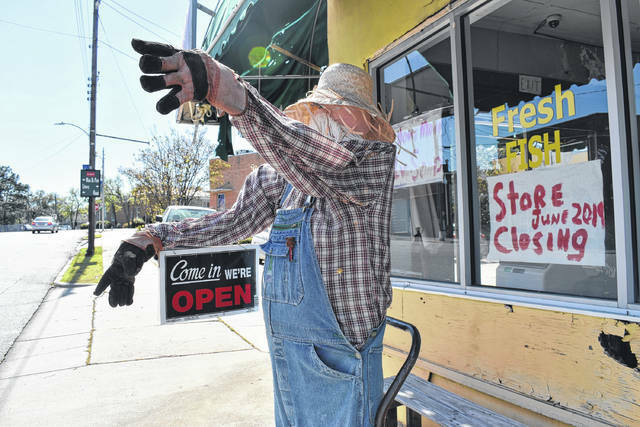 Clancy the scarecrow greets customers outside the Hamlet Produce Center. Several years ago, Oliver said he saw another store with a scarecrow and wanted to have one of his own. 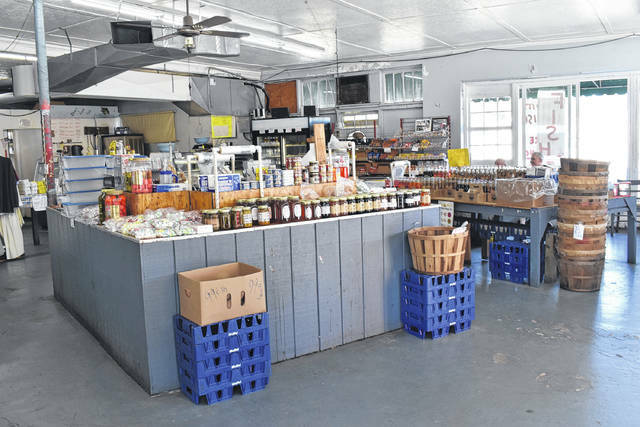 The Hamlet Produce Center sells a variety of products including soda, candy, canned vegetables, cheese and lye soap. Owners Carol and Oliver unofficially renamed the store as the Hamlet Fish Center because they sell fish instead of produce. 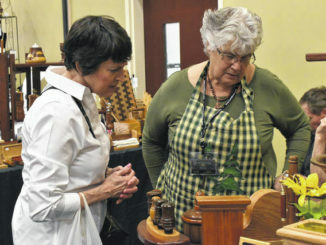 Carol Turner talks with long time customer Deana Phillips Wednesday afternoon. Phillips said she comes into the store all the time and has been for years. Owners Oliver and Carol Turner stand with Mike Jones, who has worked with the couple for 18 years. Oliver said Jones retired from the store but he talked him into helping him until they close their doors in June. HAMLET — After 37 years, Carol and Oliver Turner, owners of the Hamlet Produce Center, will be closing their doors in June. Carol said she’ll miss coming into work, but most of all, she’ll truly miss the people. Oliver said he opened their business in May 1982. He said he worked in the grocery business for 17 years before he lost his job at Big Star Grocery. Oliver spent nine months looking for work before the couple decided to go into business together. 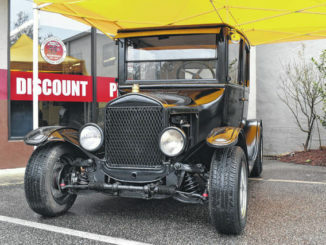 When they first opened, Carol said the store used to be filled with all sorts of fresh produce, candies and drinks that one could find in an “old-timey country store”. 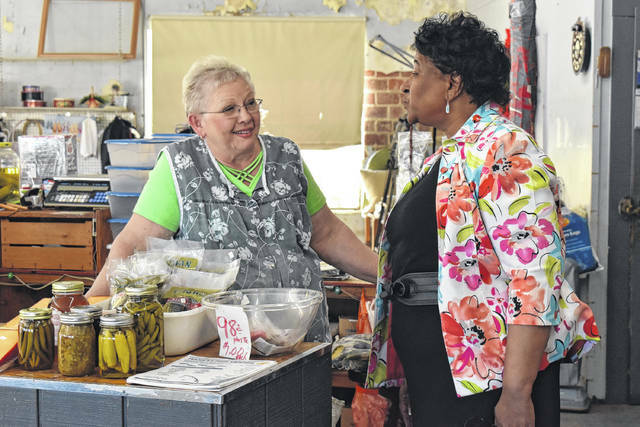 “People don’t see many country stores anymore,” said Carol. On Christmas, Carol and Oliver said they remember selling candies like cream drops, peanut butter bars, chocolate covered peanuts, peanut brittle, coconut bon bons and several other sweet treats. They would also have specialty items they’d sell in the store including meat skins (similar to pork rinds), liver pudding and yellow pound cake with white frosting Carol’s mom used to bake. Carol said customers ask her about the cake to this day. 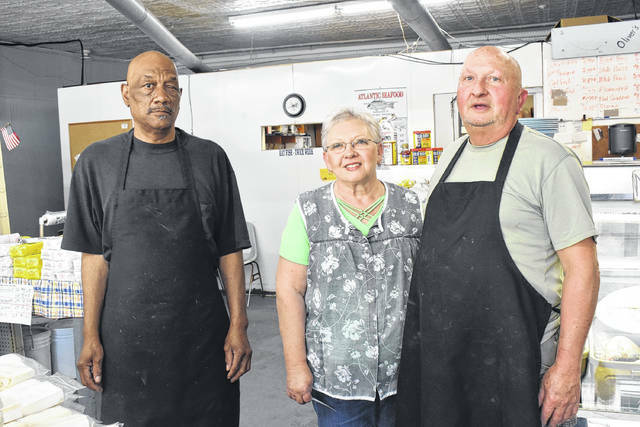 The couple introduced the fish portion of their store 25 years ago. Carol said the produce didn’t feel like enough and customers would ask why they didn’t sell fish. 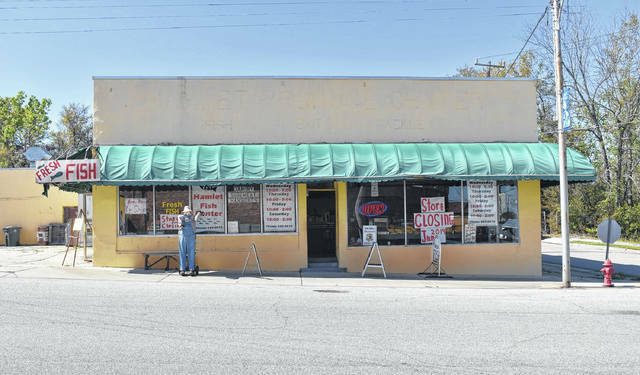 The couple unofficially renamed their store as the Hamlet Fish Center after they fizzled out produce to sell only fish. They currently get their fish from Atlantic Seafood, a company from Hampstead, North Carolina. “Once we put the fish in, everything fell into place,” she said. But after several years of being in Hamlet, Carol and Oliver, who are now in their 70’s, said it’s time to go. Oliver said after he posted the sign on their window stating that they were closing in June, more customers have come in to check out their store. “Where have they been for 37 years?” Oliver joked. Long time customer Jim Griffin said he’s lived in Hamlet his whole life and has been coming to the store since he was a little kid. 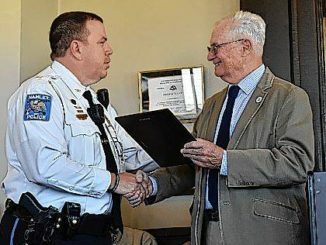 He said a lot of people will miss their “hometown service”. Oliver said he hates to see the store close down and hopes someone will come forward and purchase the building to keep the store running. He said he would come in and help show them around if someone was interested in the store. Carol said they will close the store just as they opened it: together. On retirement, she said they will take it one day at a time and see where they go from there. The Hamlet Produce Center will close its doors in June. Owners Carol and Oliver Turner said they will miss their customers and the memories made in the store.